A millennium into the future. In a galaxy far from Earth. We were not prepared for the Terminal War. Billions of lives are at risk as enemy forces mass on the frontier of the Commonwealth. If the planet Terminus, the center of all the Commonwealth’s technology, falls, we will lose everything, and there will be no way back. The Axis Combine’s fleet is overwhelming in number, and their firepower is superior. 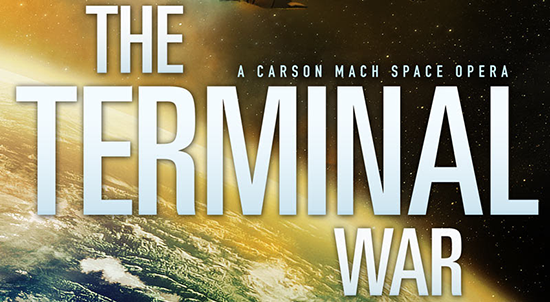 Unless one man and his crew can save Terminus, the galaxy will never be the same again. They must find a way to give the Commonwealth an edge or we’ll face complete annihilation. There is but one hope: Carson Mach and his motley crew of rogues on the starship Intrepid. Be prepared for a well paced story, written like an action movie with not much time wasted in 'padding'. At the same time the part of the story line which provide background on the characters and show them changing and developing is handled well and without taking you out of the action. In this story the crew split up to an Away Team and a Ship Team which then follows both teams on the ground and in space well while creating suspense at the end of each chapter. We also get some insights into the Commonwealth's new allies, The Vestians, and their past. The opening wasn't as catching as the last book, however that could have been my current state of mind. 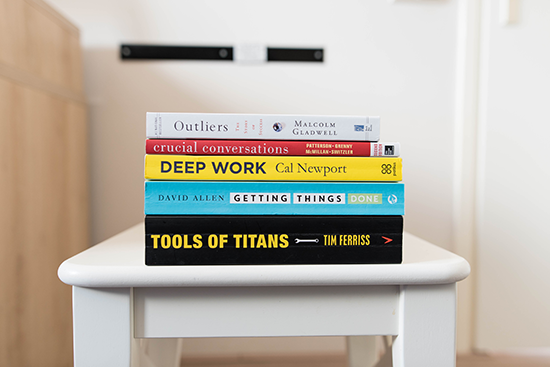 What you need to remember though is that I was so excited to read this book that I put aside the another book that I was currently reading, which is about some of my favourite topics, Dinosaurs and Knights, to start this one. 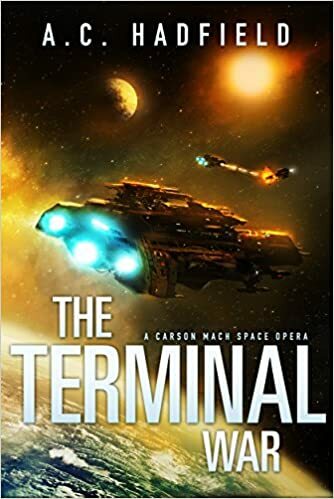 All Carson Mach stories are standalone adventures and can be read in any order, and I from my perspective (someone who started at book one and enjoying the whole series) I would agree, but other reviewers who have started the Carson Mach Adventures at this book do say that this not so. All while all the books are great and well written, there is some character development and background revels which happens over the series so my recommendation would be to grab them all and read from the start. Spoilers: Poor squid, Babcock's AI companion, we are up now at 3 for 3. This book has Squid version 3 and here's to seeing Squid 4 in the next book. Please note: clicking on the Amazon links may earn Wolf's Books a small commission. Which I'll use to buy more books, of course. Here are the first three books in the Carson Mach Adventure series.